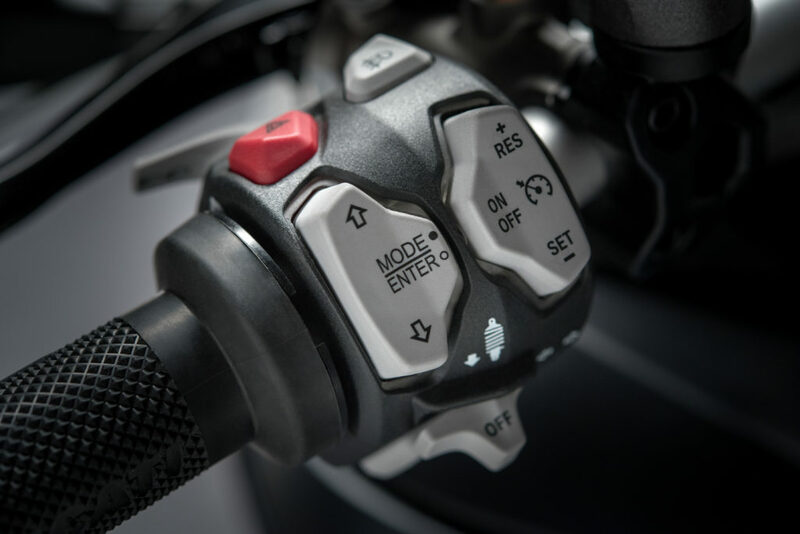 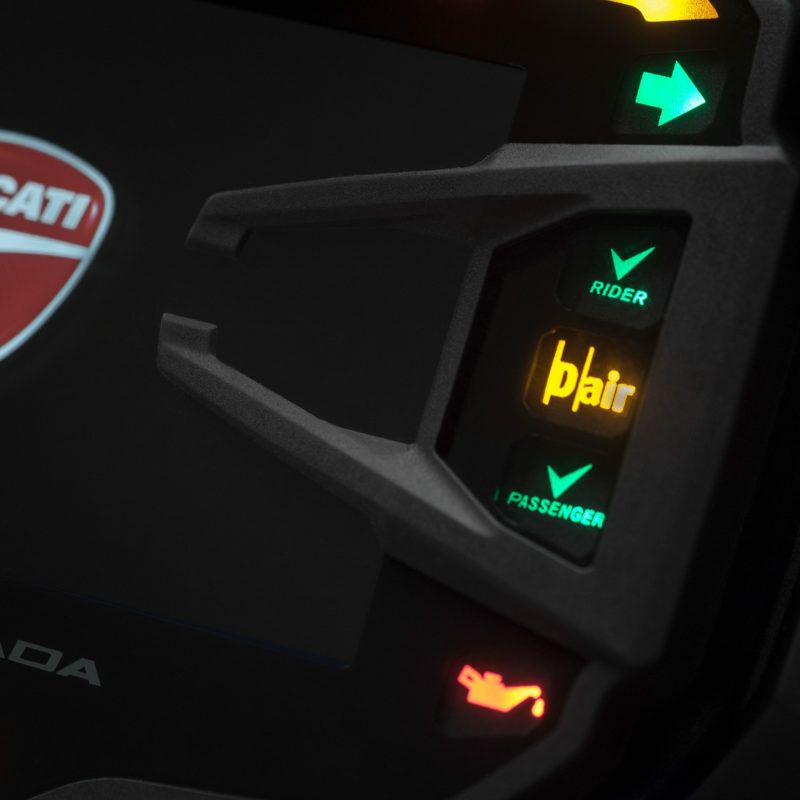 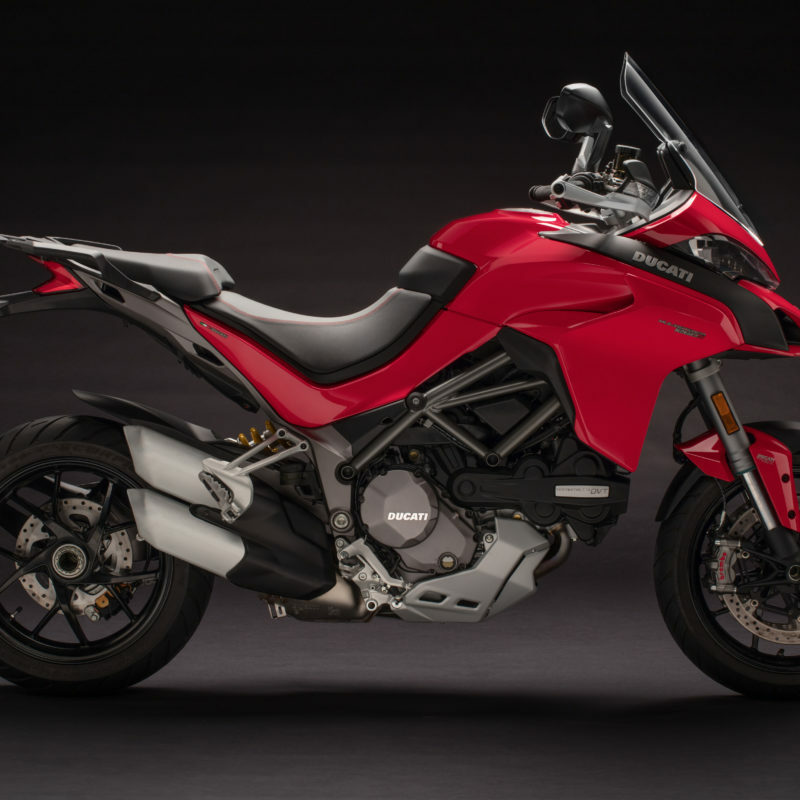 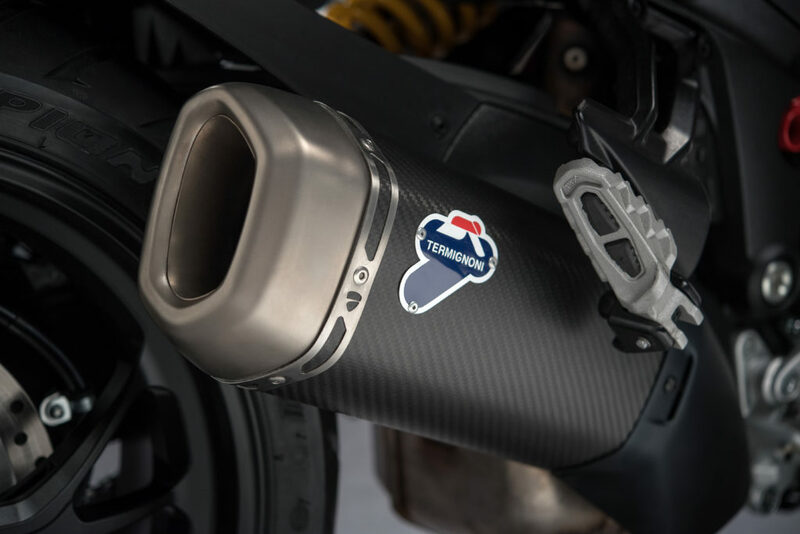 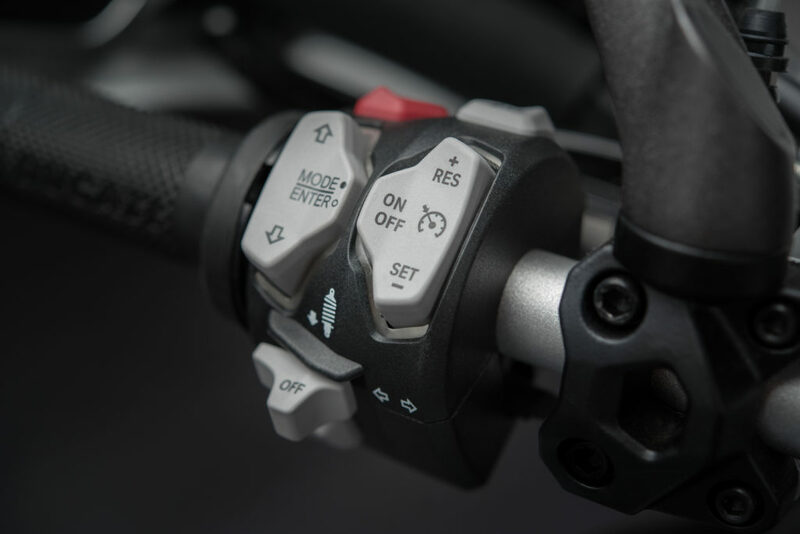 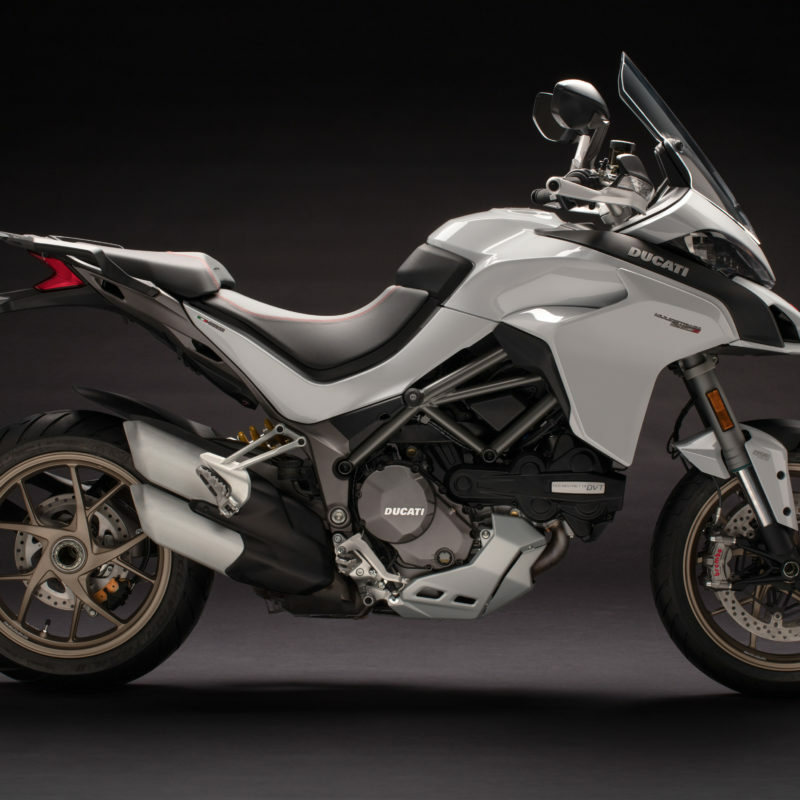 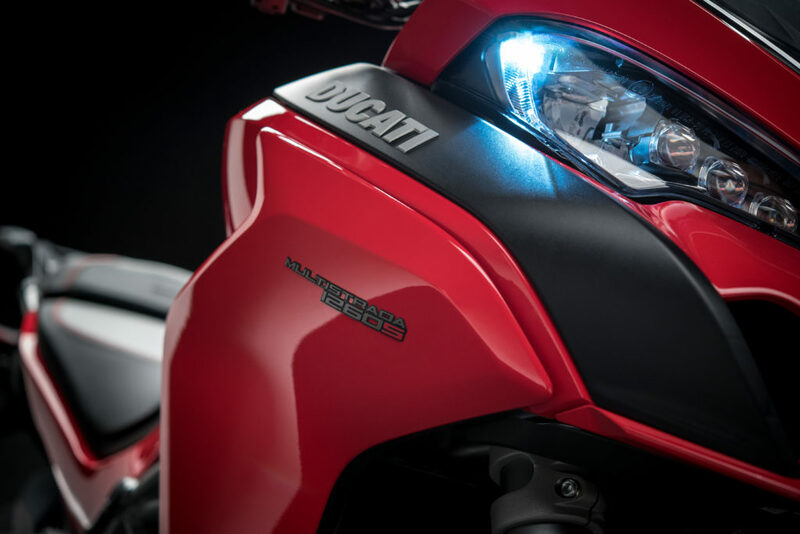 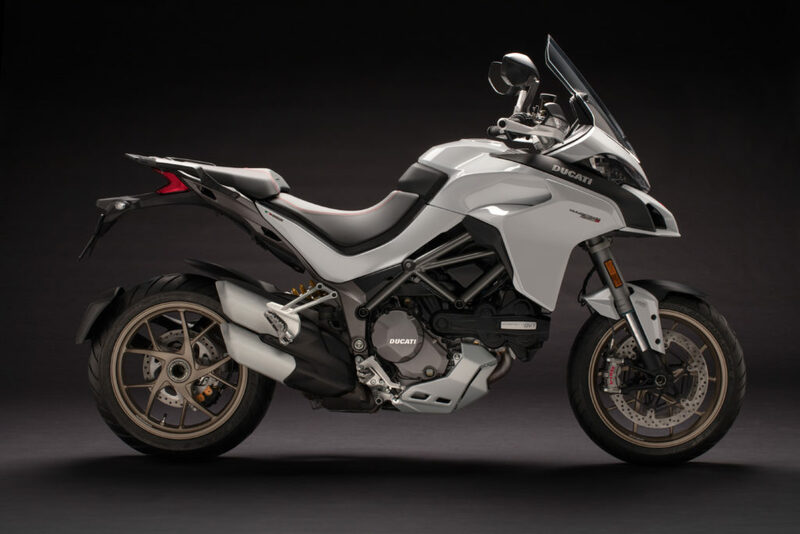 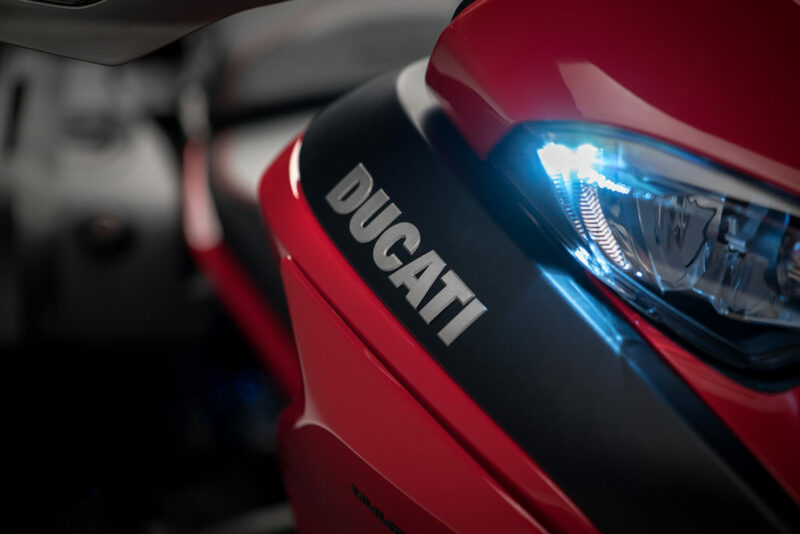 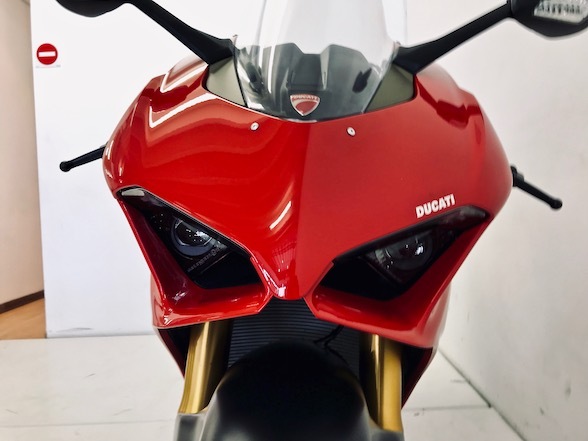 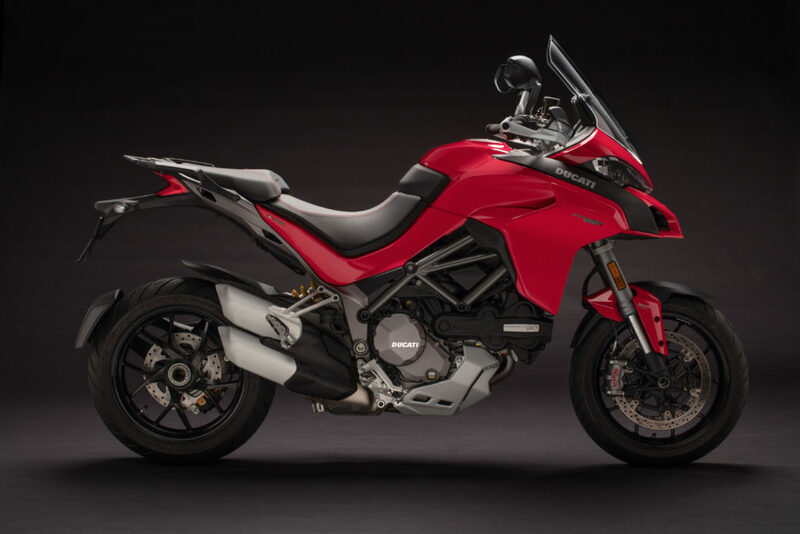 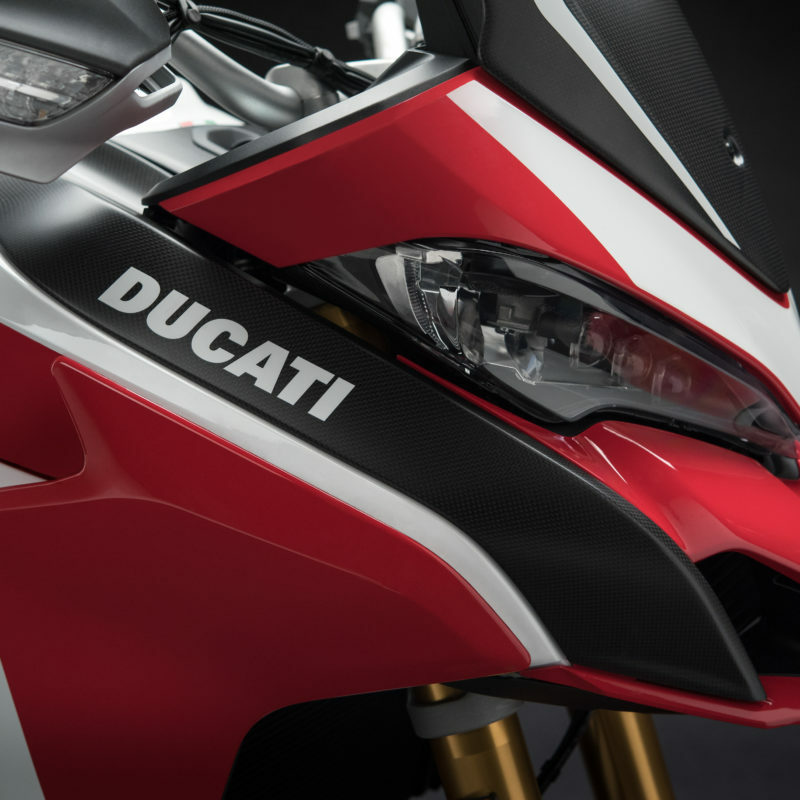 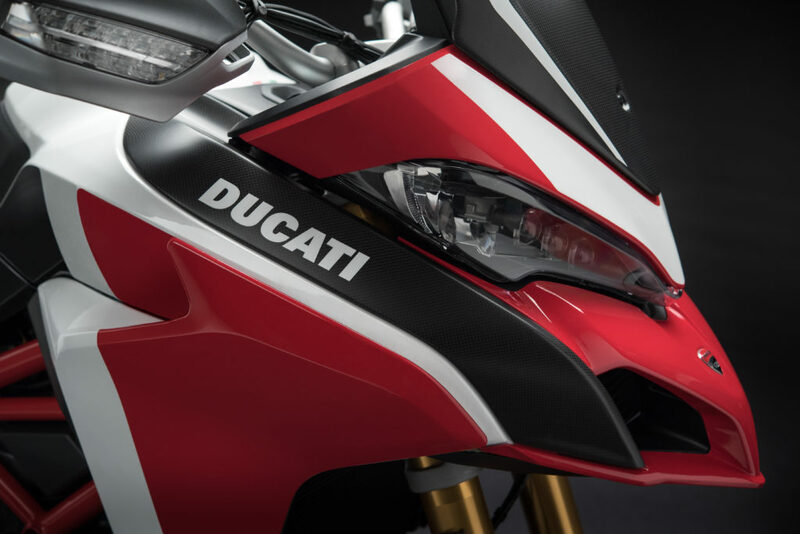 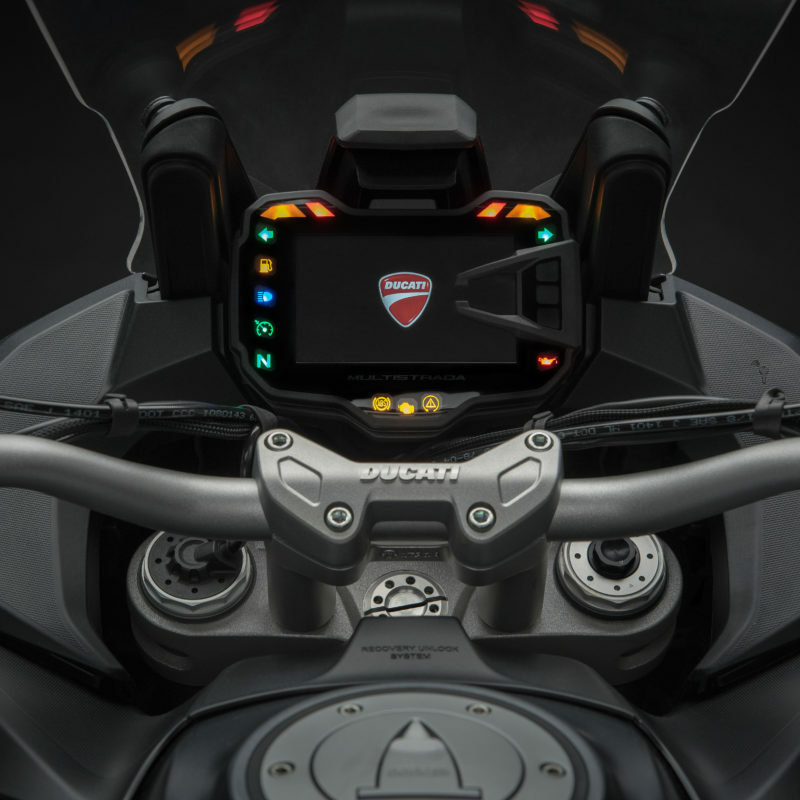 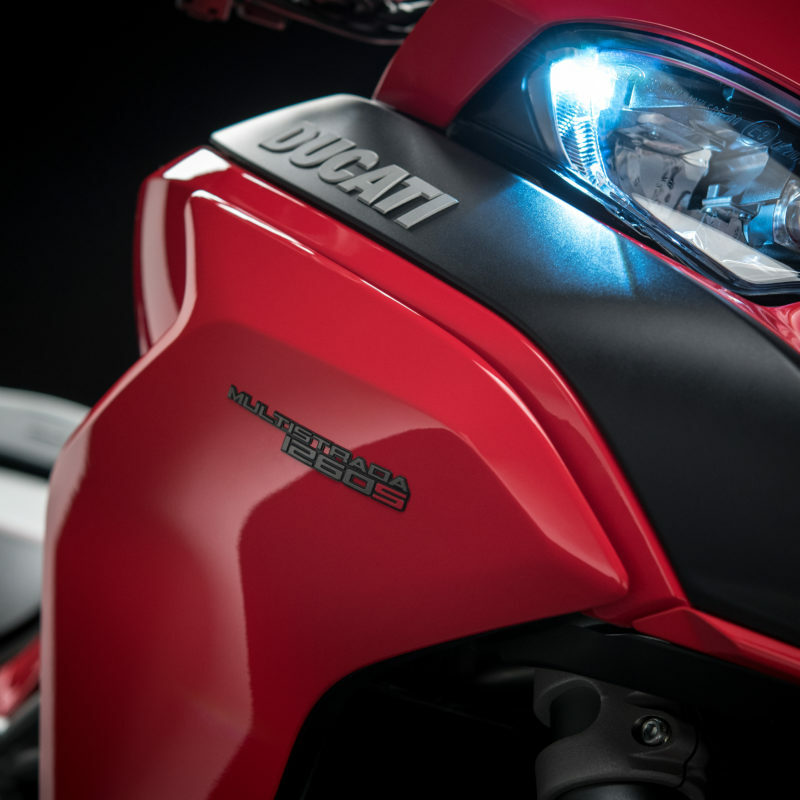 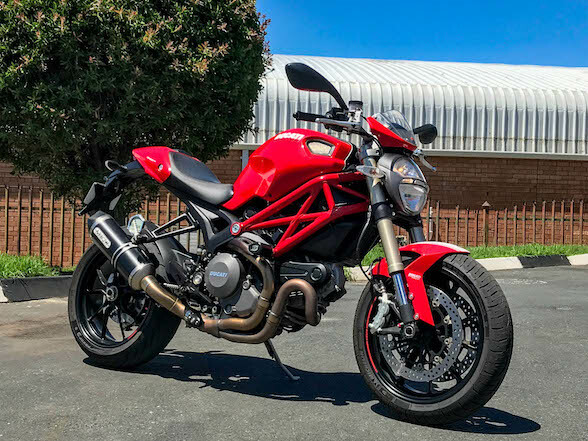 Ducati have pioneered a good deal of technology through their Multistrada range, one of the most significant of which is their variable valve timing, a clever device that gives the motorcycle a broader range of power. 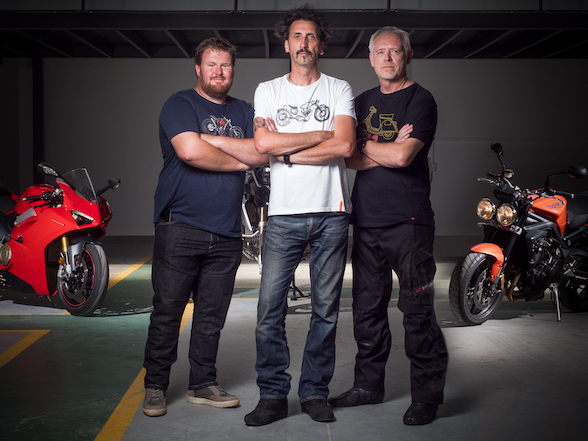 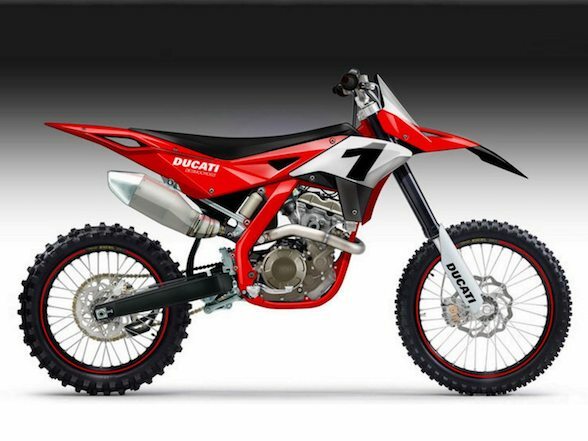 What this means is that the engineers can tune the motor to reach a certain max horsepower at high revs and then the changing valve timing will fill in the gaps in the bottom end and midrange. 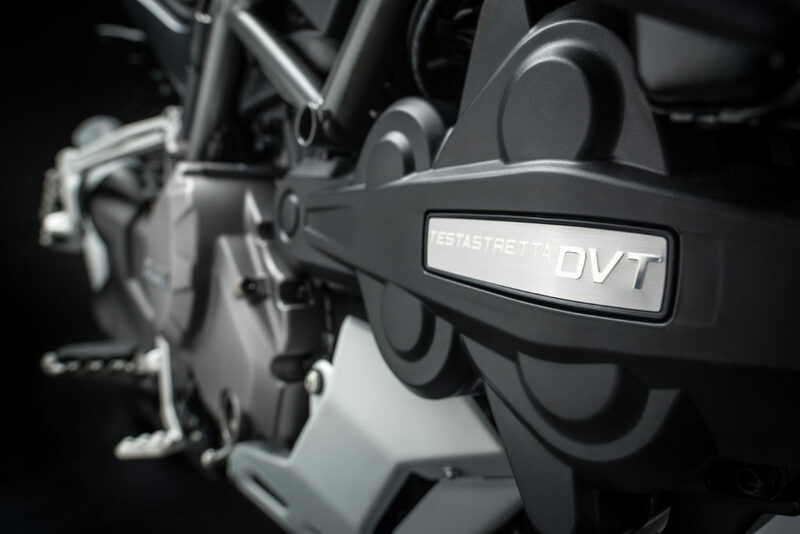 It certainly made a difference compared to the non-VVT model, with the newer bike definitely showed more perkiness at the lower rev range. 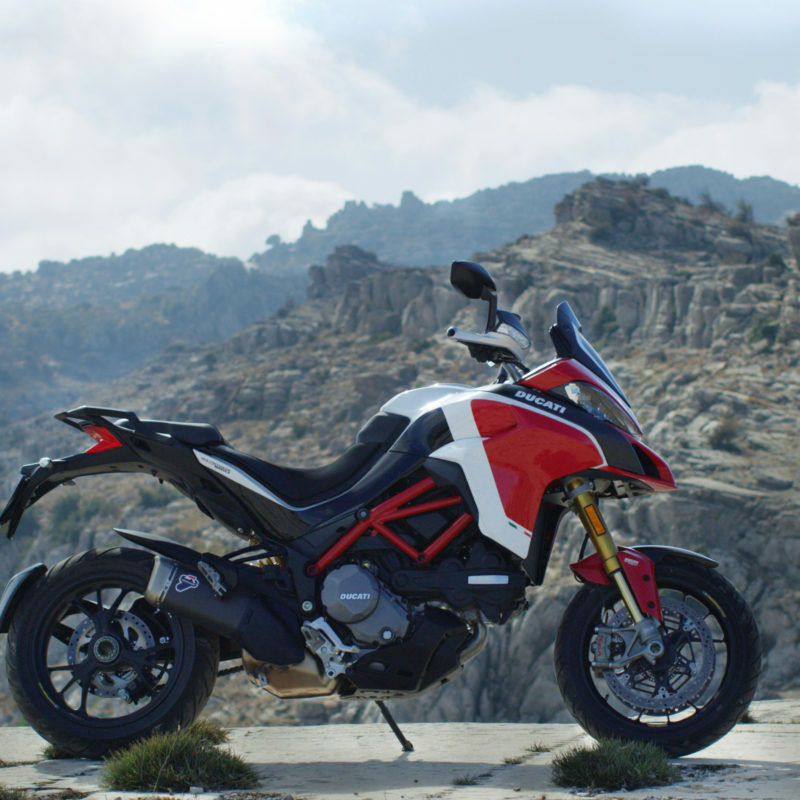 This all seemed brilliant, until we went to the Pirelli Bike of the Year a couple of years ago where we lined it up next to the KTM 1290 Super Adventure. 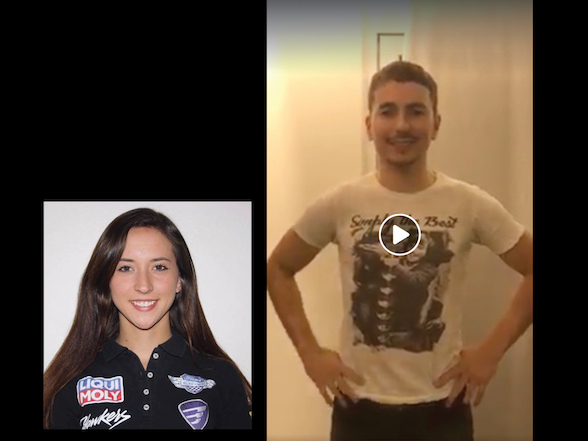 In theory, this should’ve been an evenly matched dice. 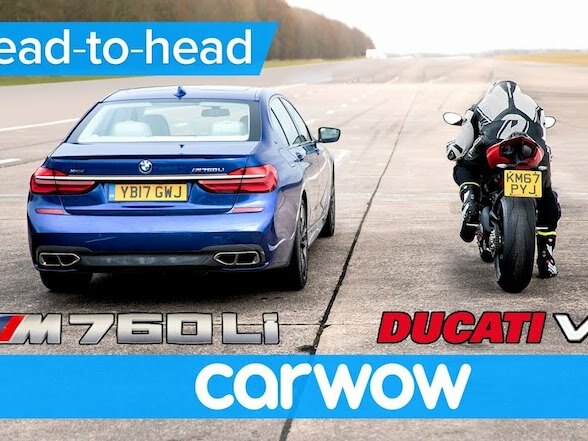 They both produced 160 hp and they both weighed roughly 230kg. 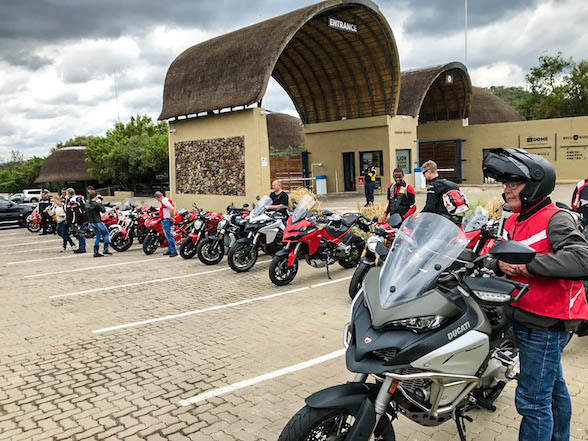 We lined them up next to each other, rolling in second gear at 40km/h. 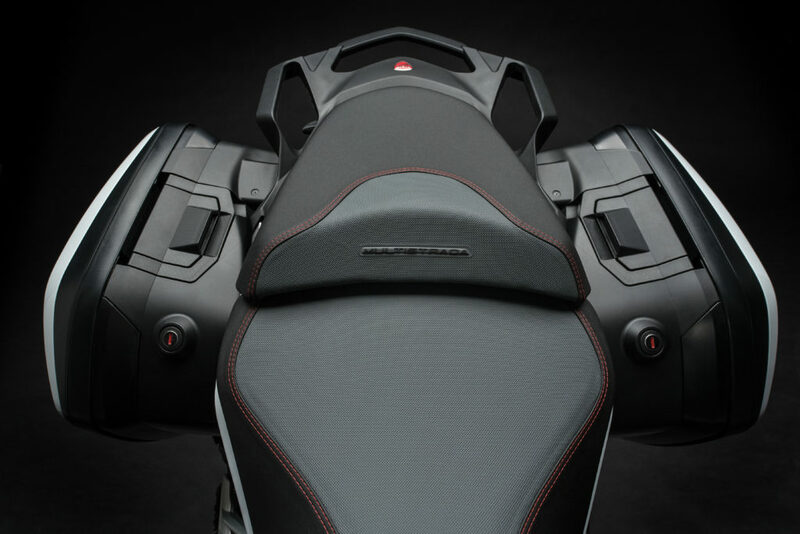 On the mark, we both whacked open the throttles and went for glory. 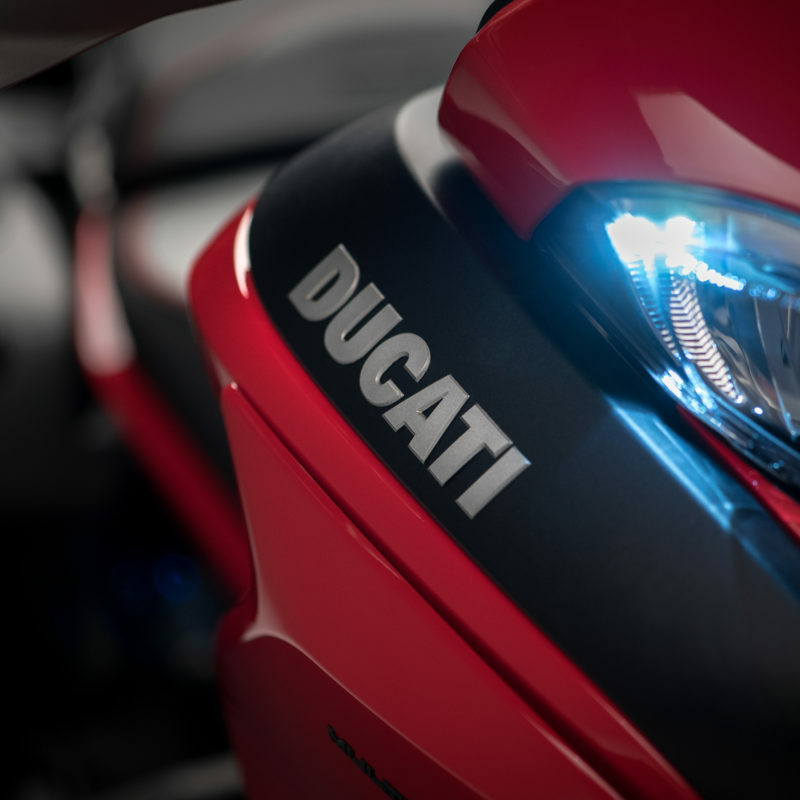 The Ducati had fancy variable valve timing. 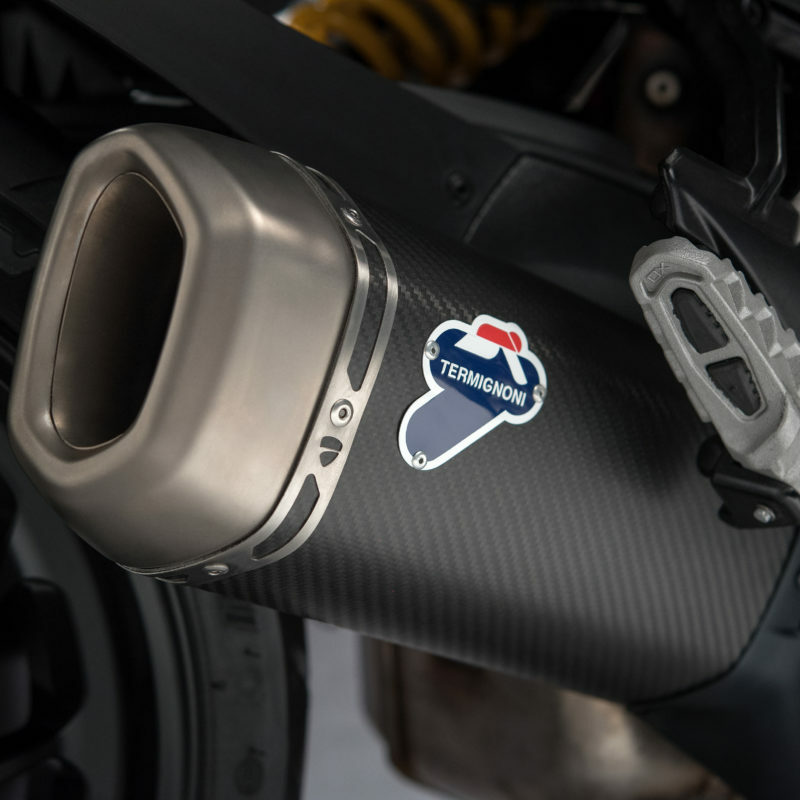 The KTM had bigger piston. 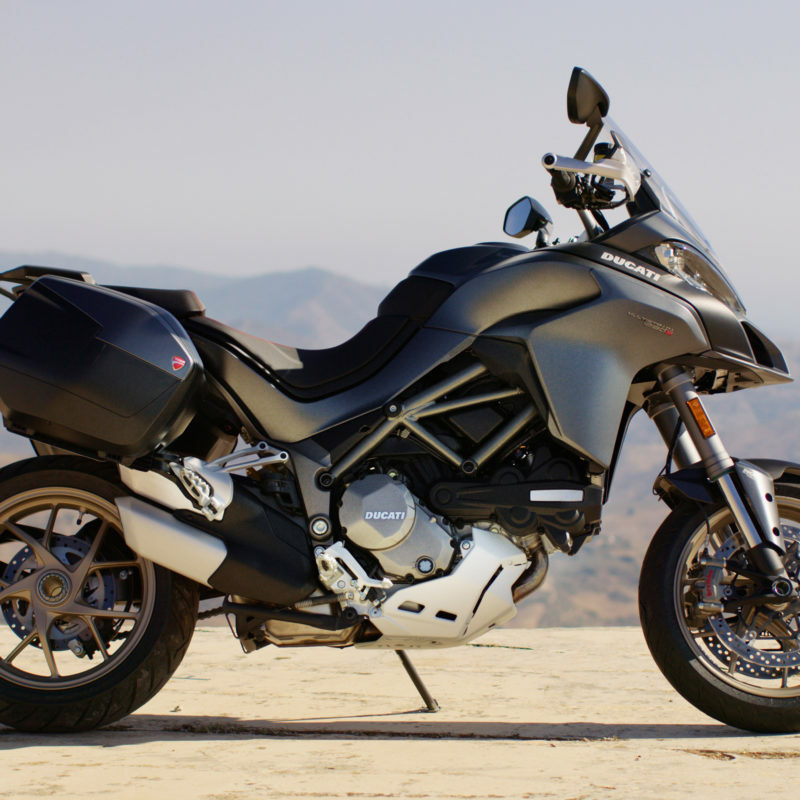 The Ducati did amazingly well, matching the monstrous Katoom once the revs were at the top end. 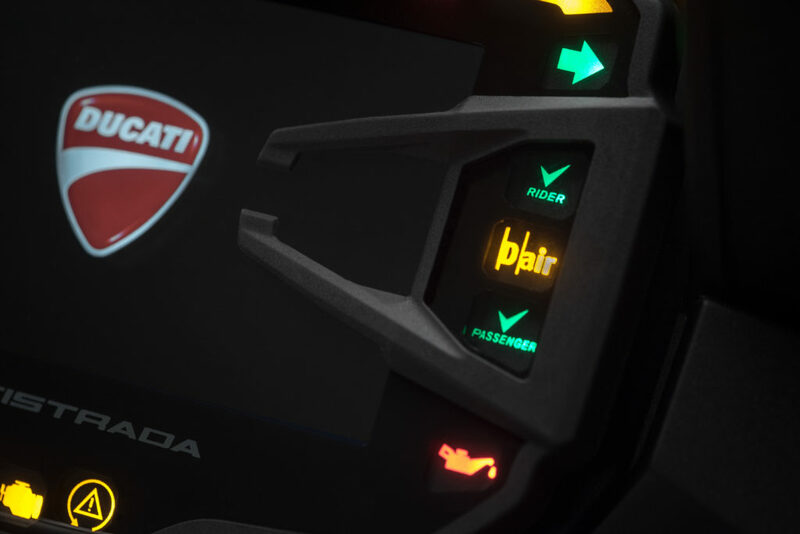 By then it was a bit late. 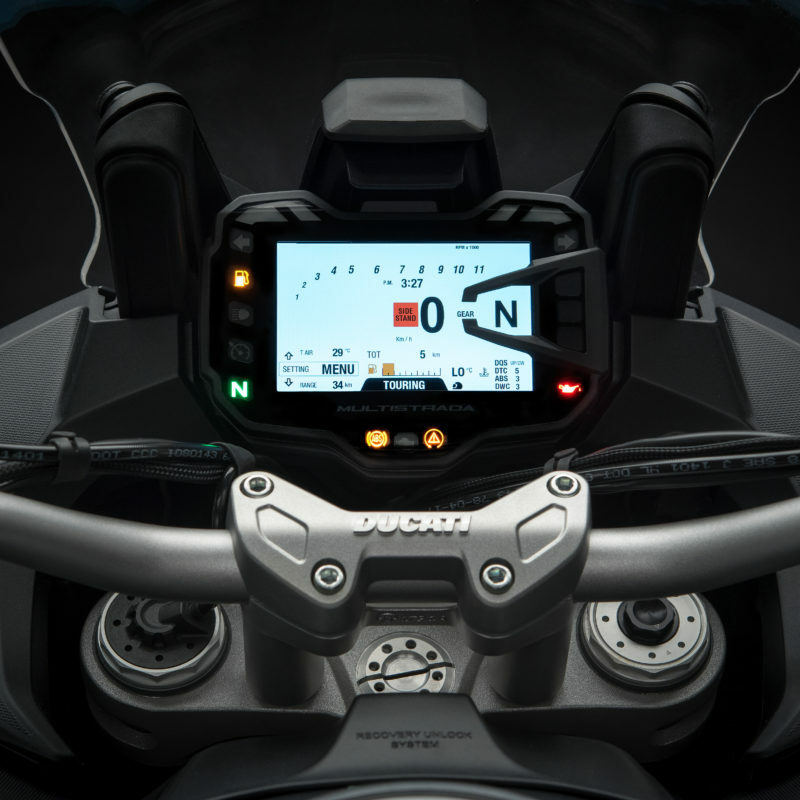 The problem is that when we first opened the throttle at slow speeds and low rpm, the KTM just launched away from the poor Duc. 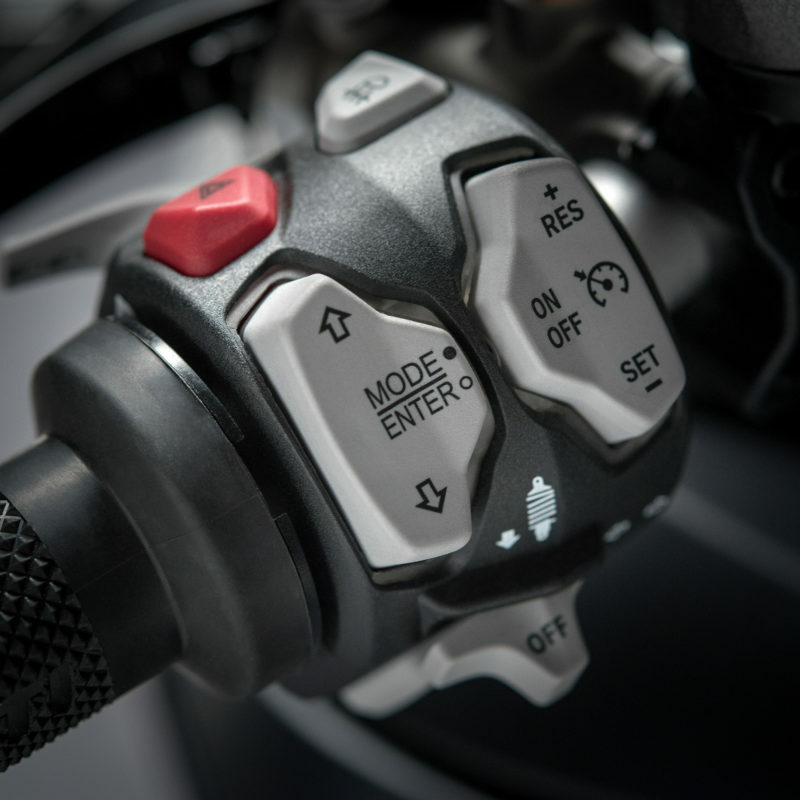 The VVT certainly helps, but as they say in the movies, there’s no replacement for displacement. 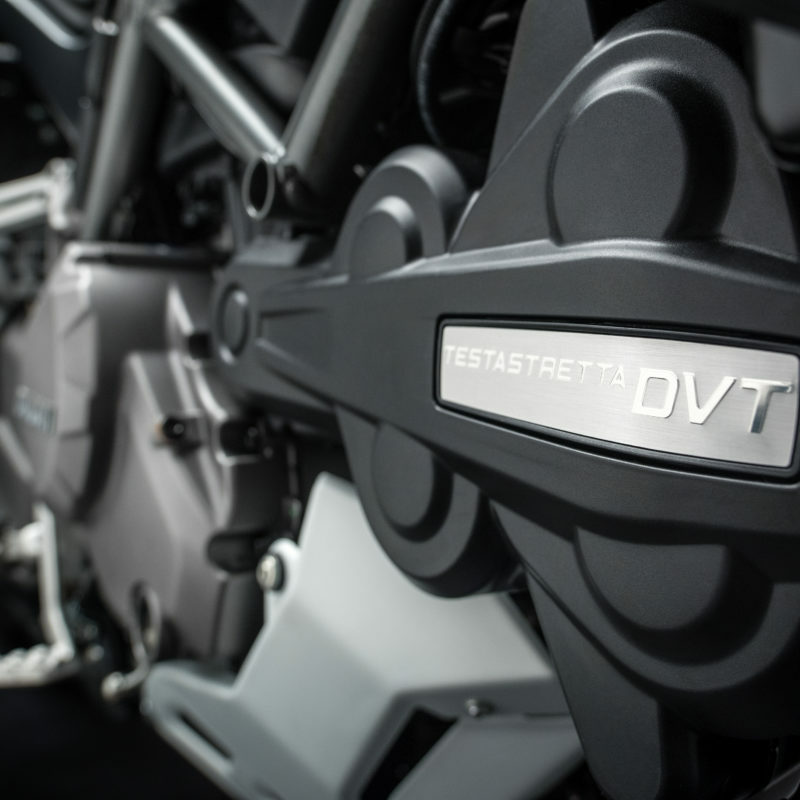 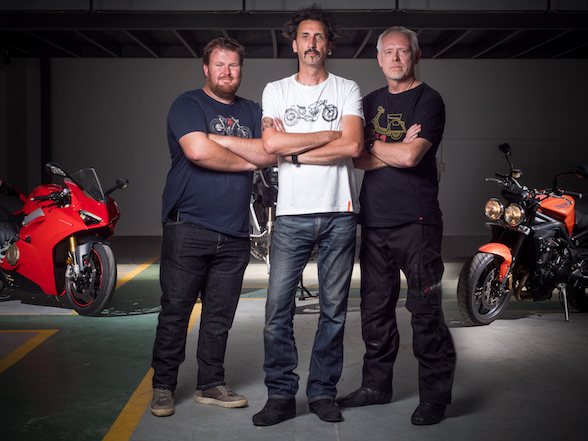 For the 2018, they’ve kept the VVT but also increased the cc’s from 1198 to 1262, affectively fitting the motor from the XDiavel, something we said they should do from the moment we first rode the XDiavel. 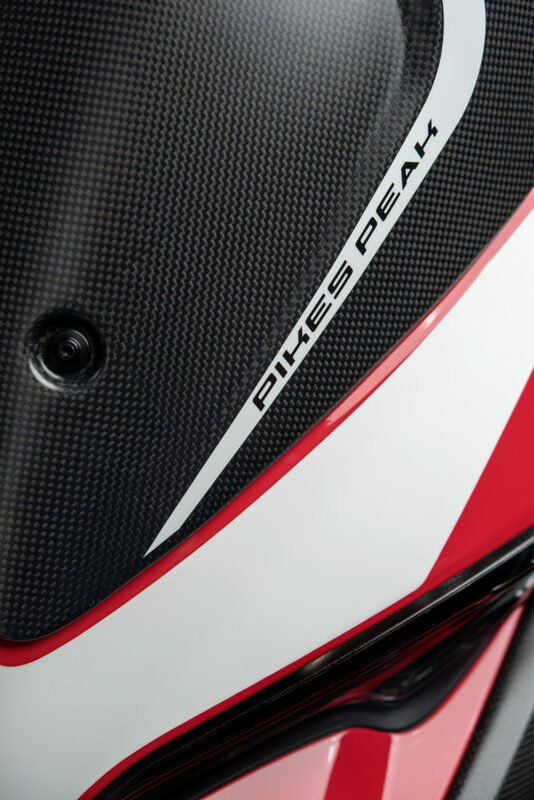 While the bore stays the same, the stroke has gone from 67.9mm to 71.5mm, meaning there should be better bottom end and midrange pick up. 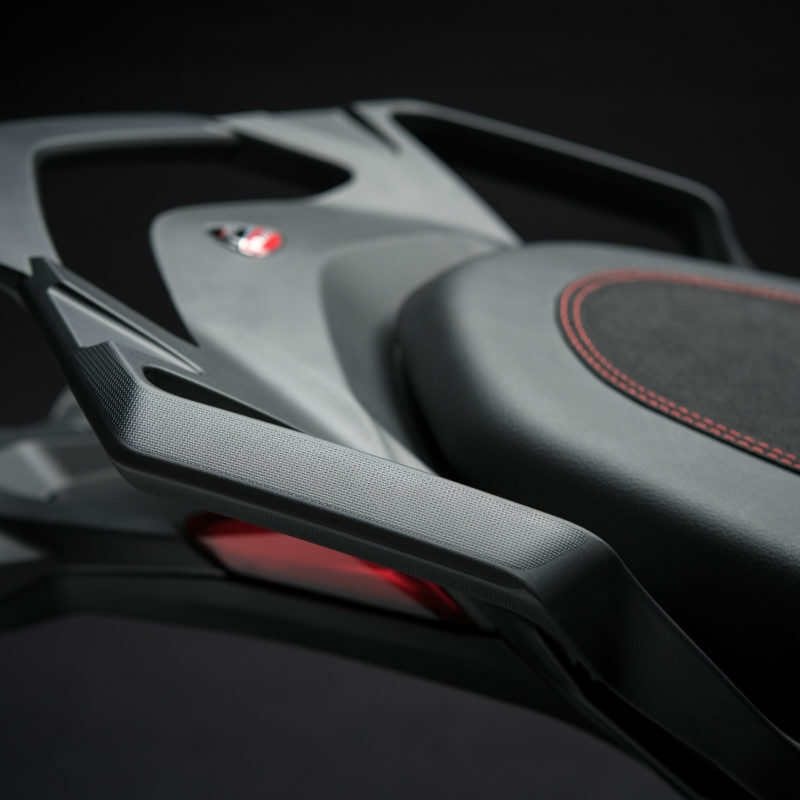 The chassis has undergone some changes with focus on providing stability. 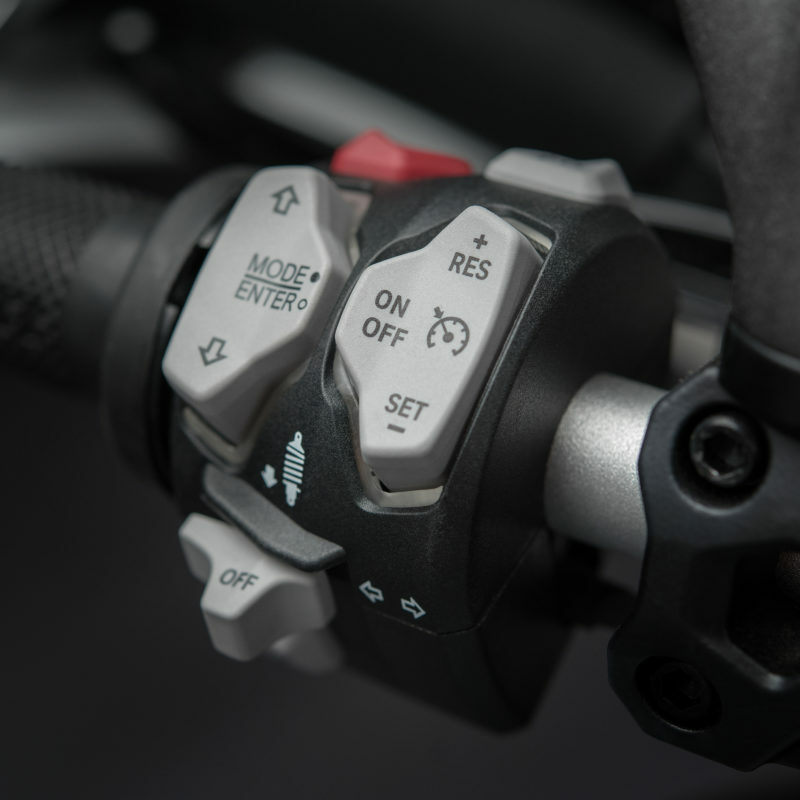 The easiest method of doing this is to stretch out the rake, which they have done by a single degree. 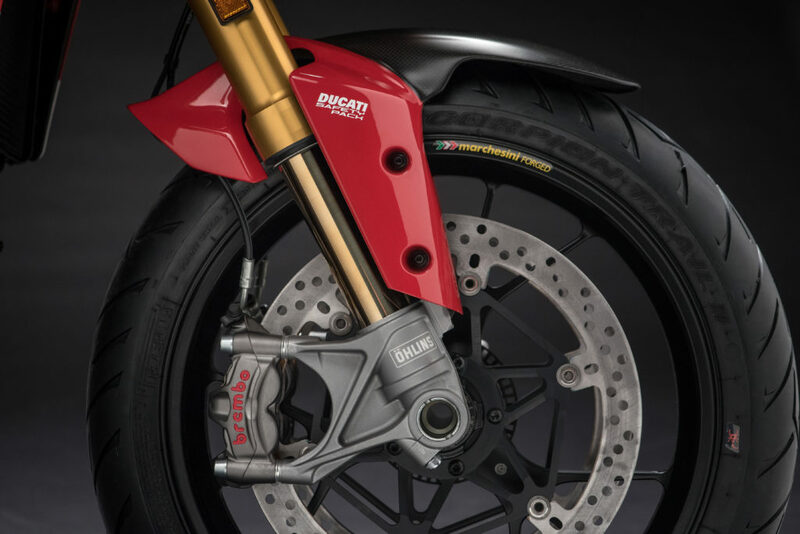 To add to this, they have also massively increased the swingarm length, adding 48mm. 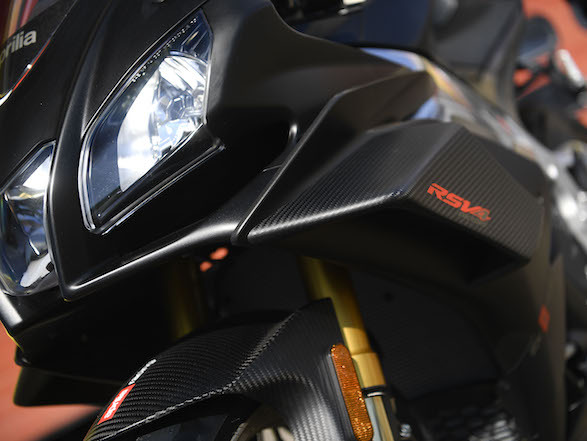 In swingarm terms, that’s about the length of Russia. 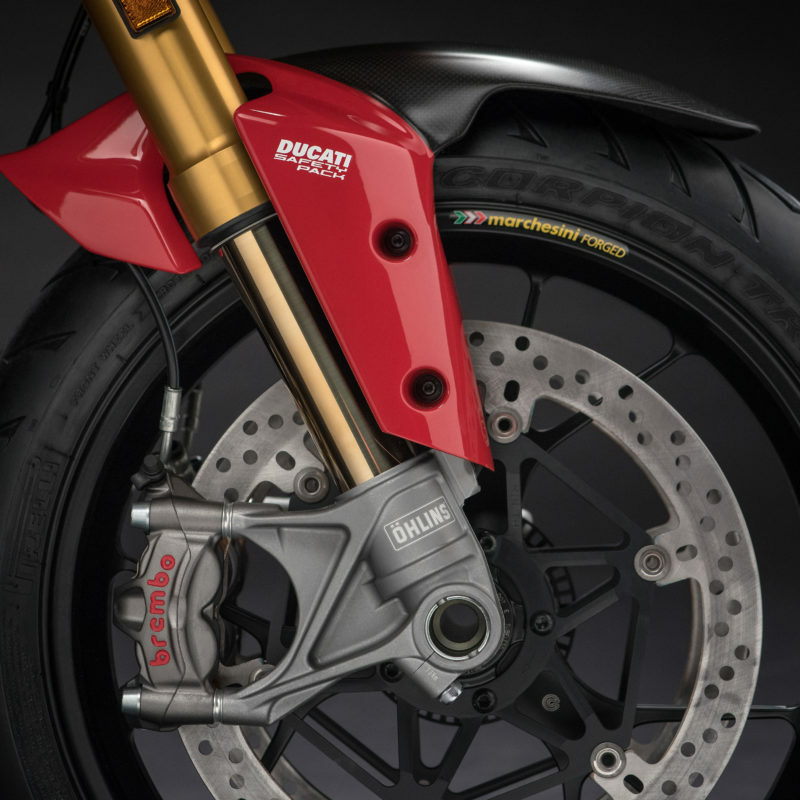 This will provide more stability, give more rear wheel grip and shouldn’t sacrifice agility too much. 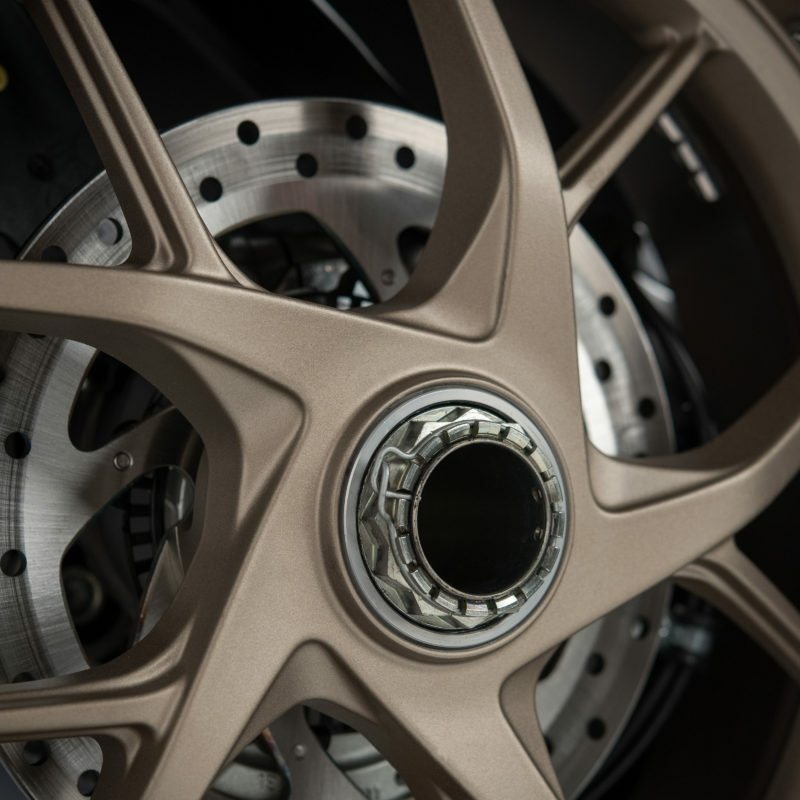 These changes have inherently increased the wheelbase from 1530mm to 1585mm. 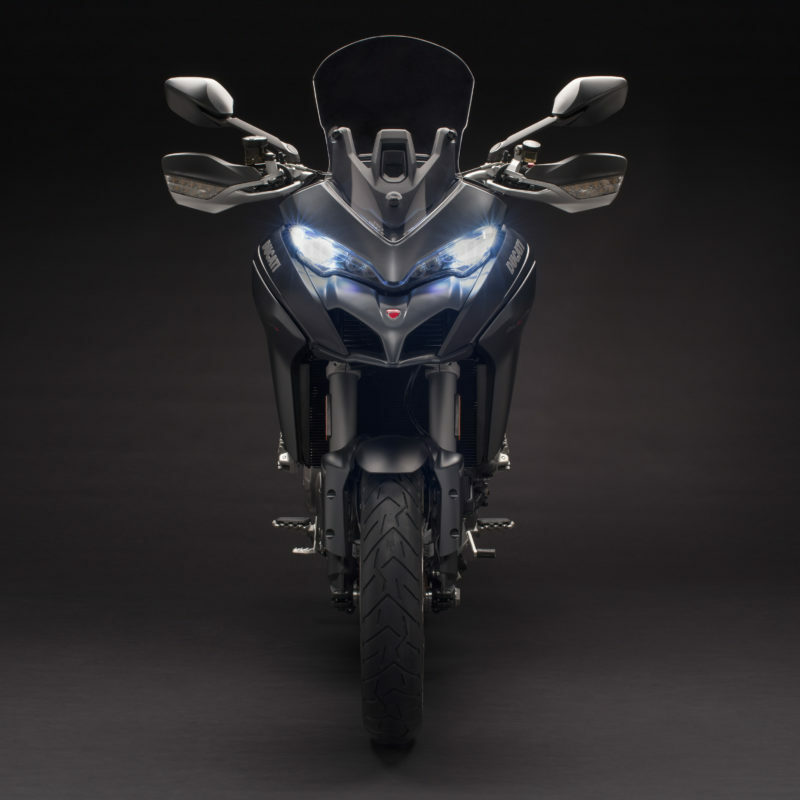 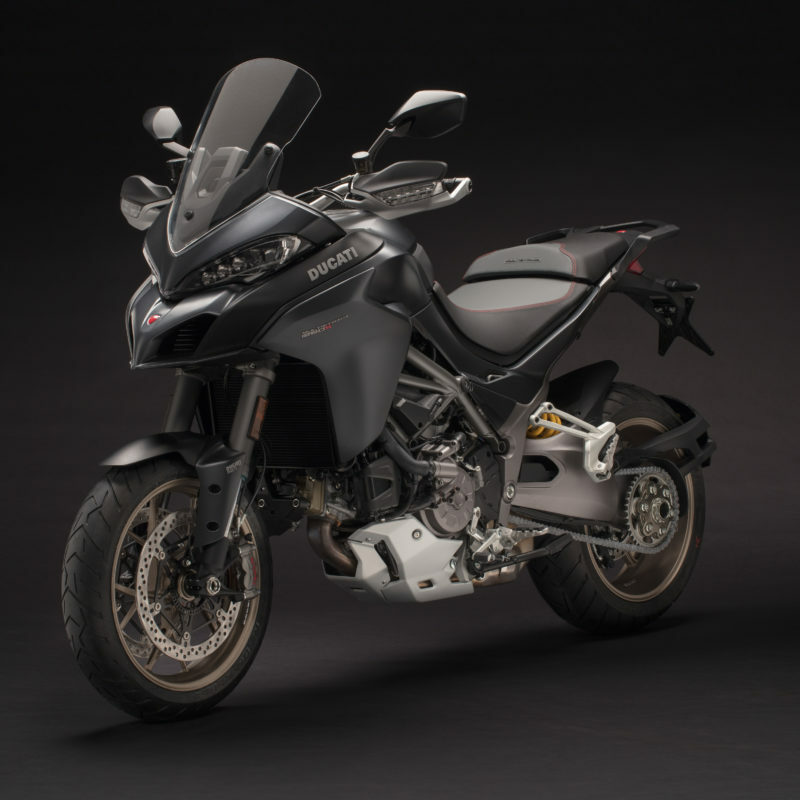 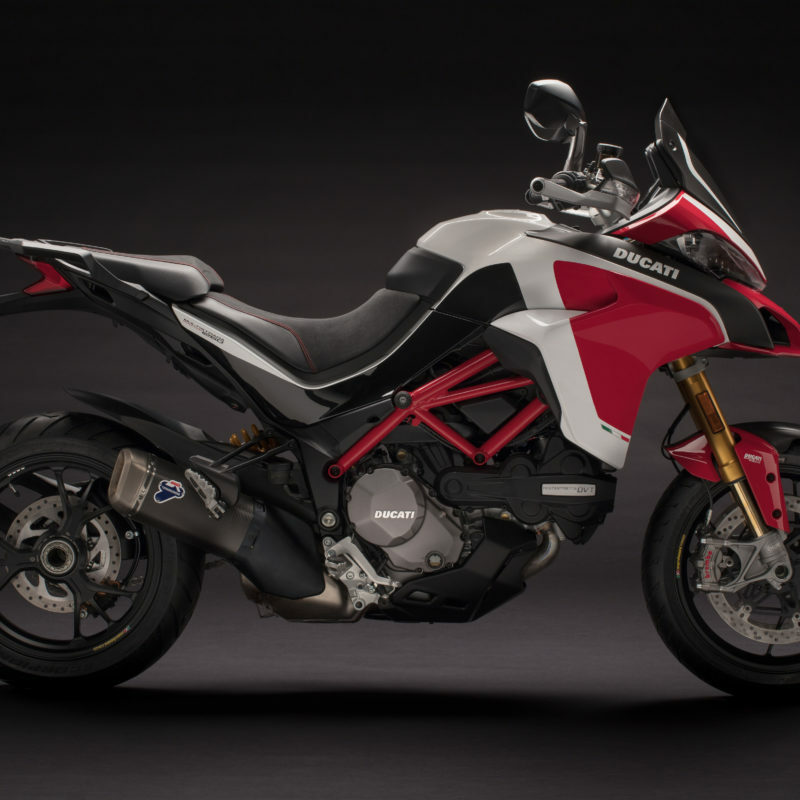 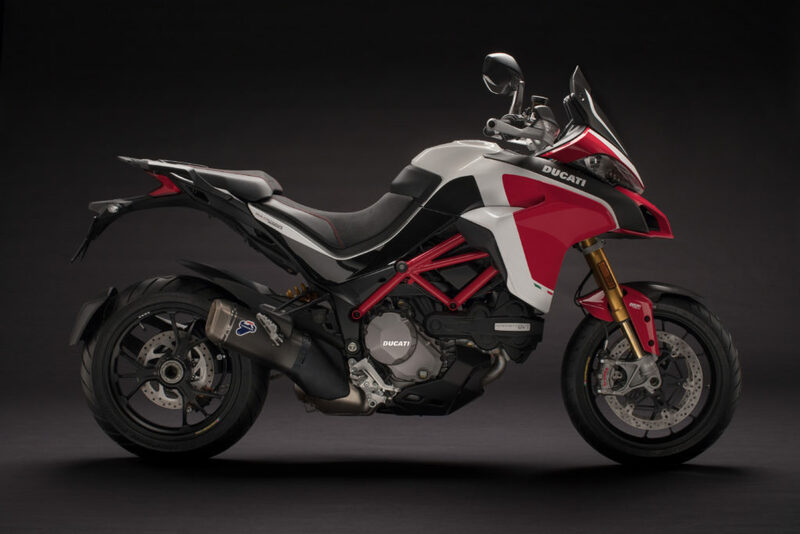 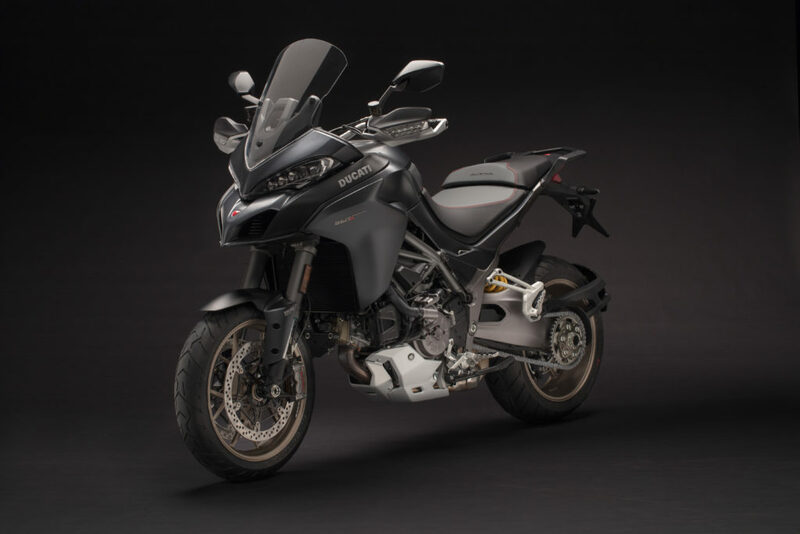 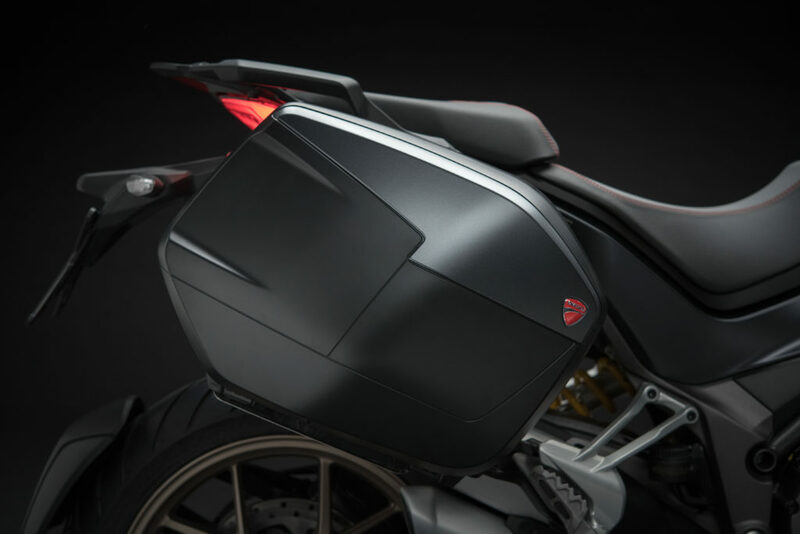 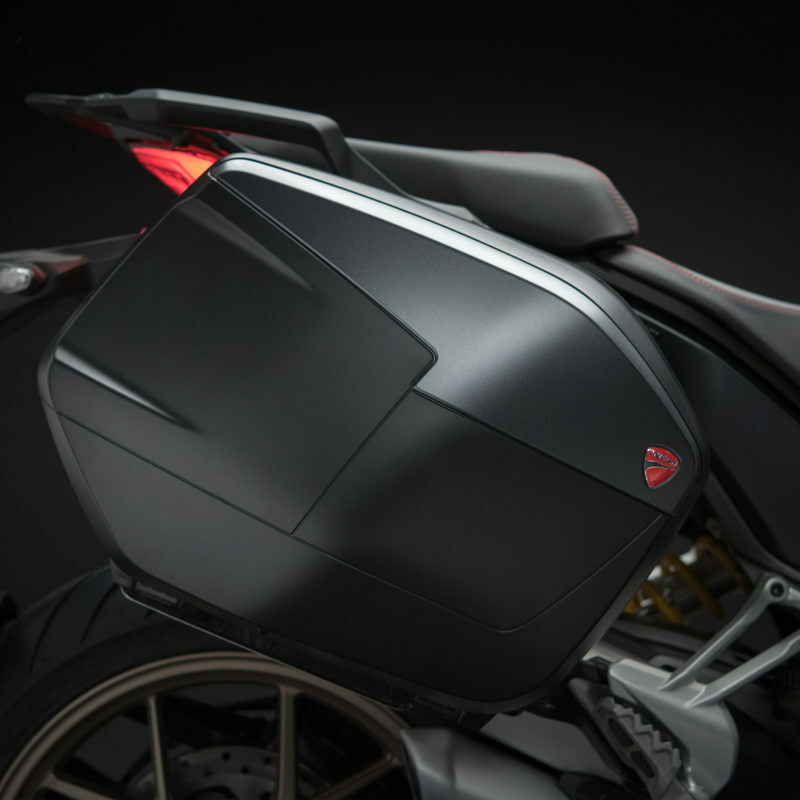 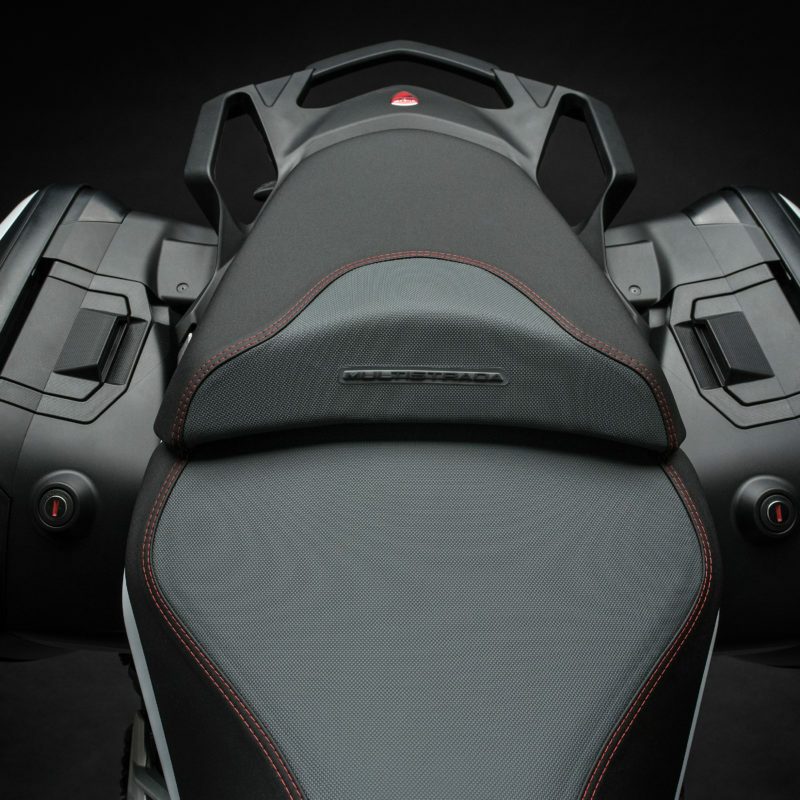 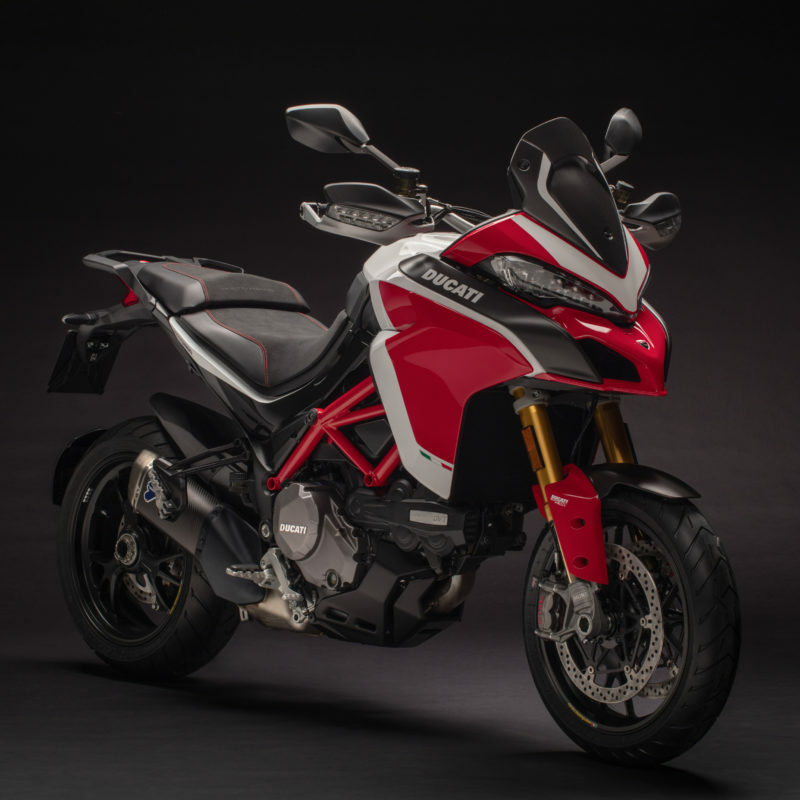 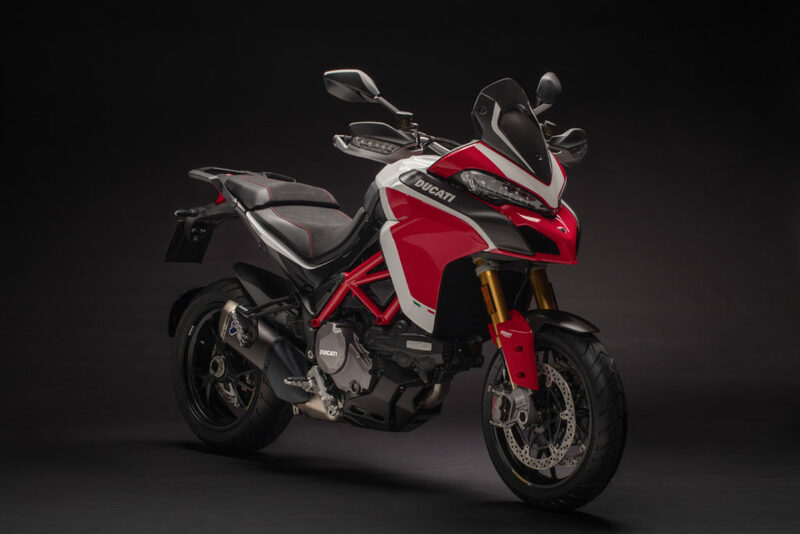 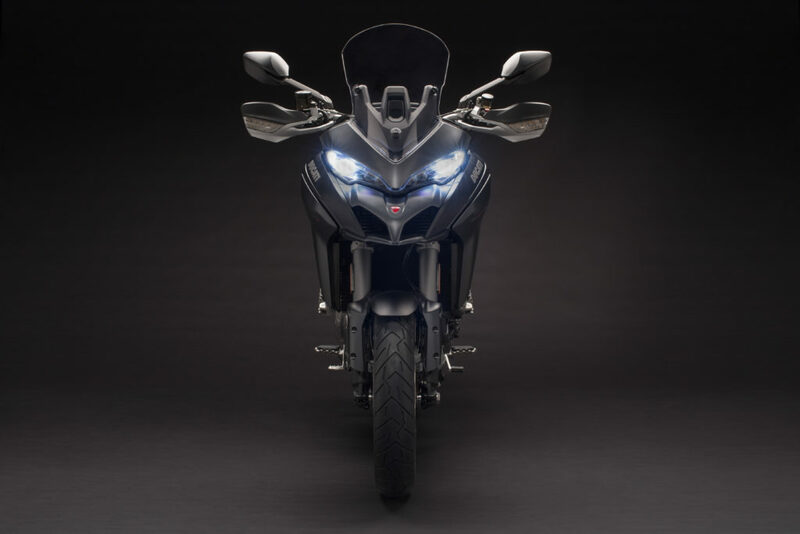 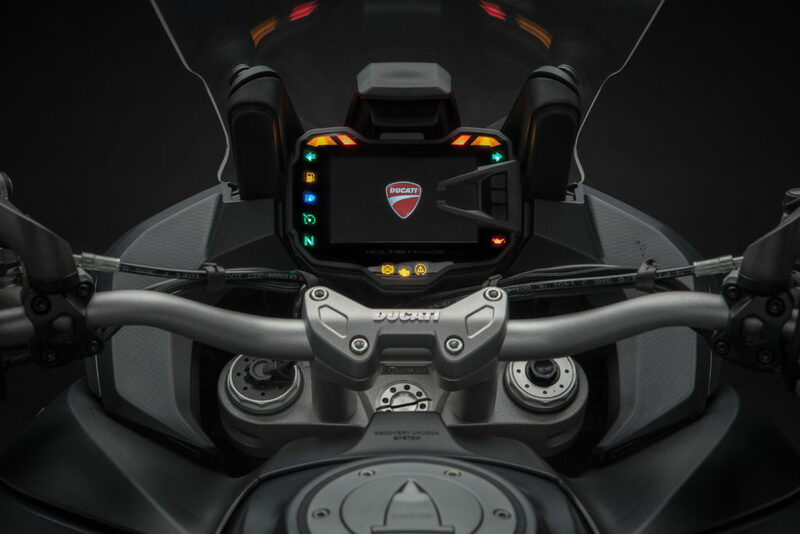 Like the previous 1200, the 1260 Multistrada will be available in three versions – the standard, the S and the Pikes Peak. 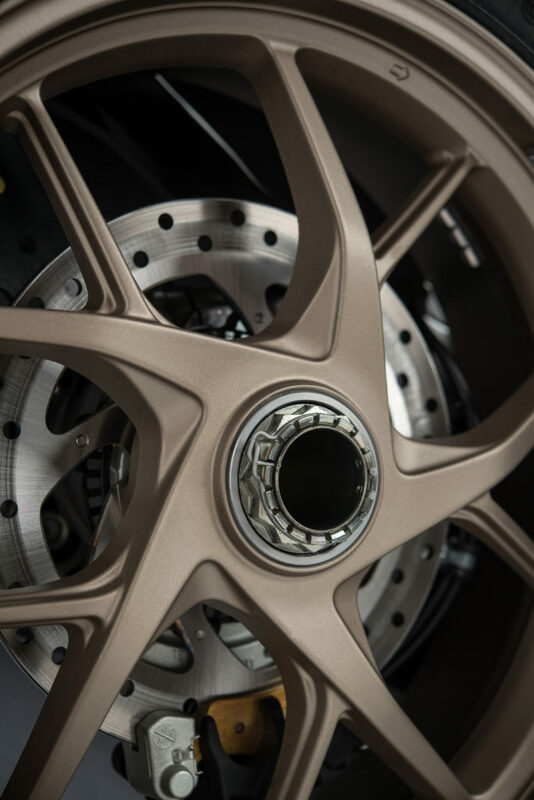 They all still make use of tar friendly 17-inch alloy wheels and all still get by with 170mm of suspension travel. 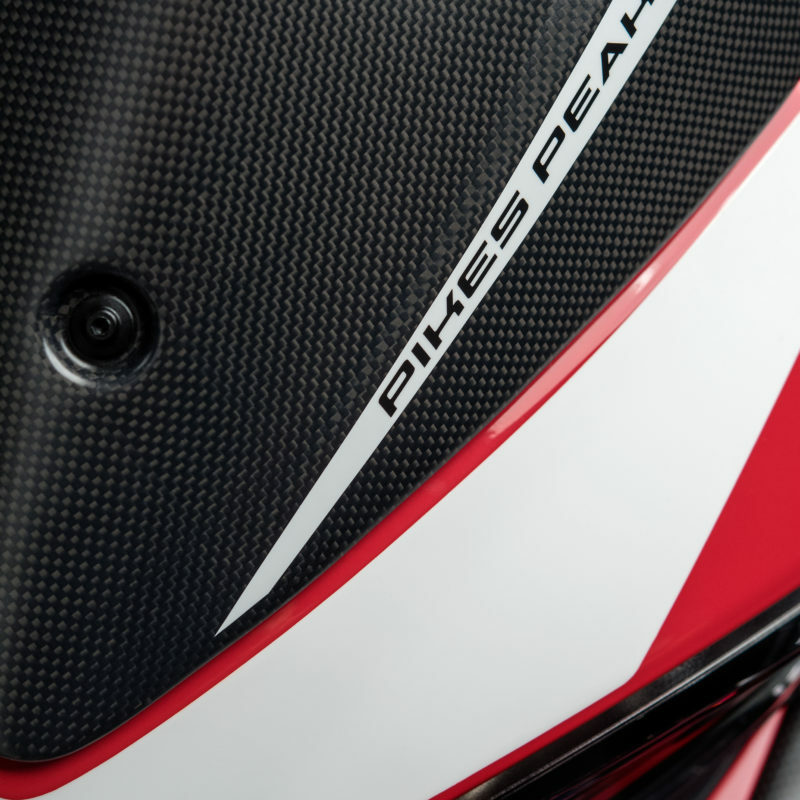 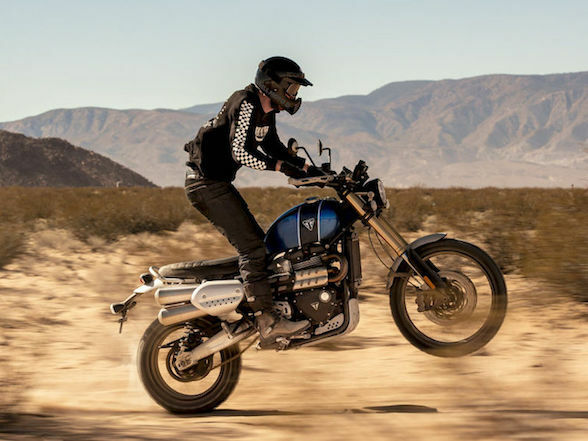 The standard uses base Sachs suspension, the S uses Ducati’s famous Skyhook semi-active suspension and the Pikes Peak is equipped with standard issue Ohlins. 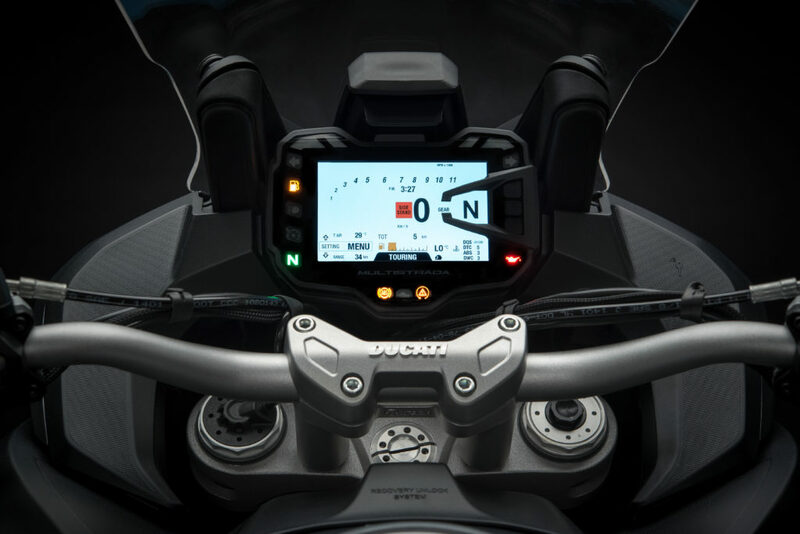 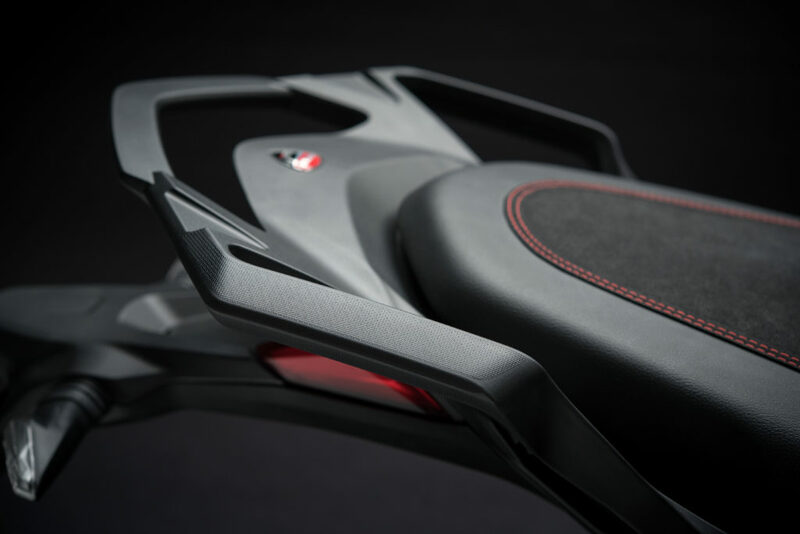 Of course the S and Pikes Peak have host of extra electronics as standard, such as a both-ways quickshifter, cruise control, backlit handlebar switches and so on.